Nature is mystical, to say the least. With its beautiful offerings all across the universe, it tends to amaze people leaving them wondering how lovely it is to experience the world at its natural best. The Northern Lights or the Aurora Borealis is one such natural phenomenon that can leave all its witnesses truly spell bound. The Aurora Borealis (commonly known as the Northern Lights) is referred to the northern dawn which is witnessed in the northern hemisphere. It is actually a natural light display in the sky, visible in the high altitude arctic region. It is caused because of some natural collisions that occur between the energetic charged particles with atoms which are ejected from the sun in solar wind. Quite scientific this might sound, but he result is a stunning display of lights in the sky; something that is extraordinarily beautiful. 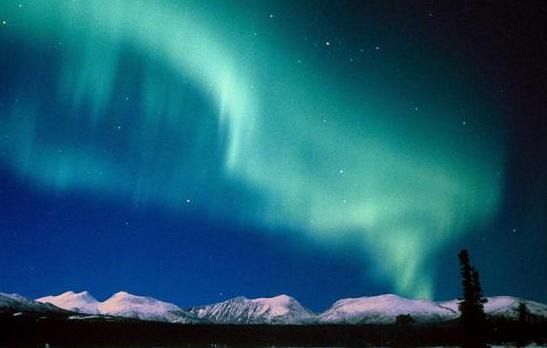 2013 is considered to be among the best of times to witness these amazing Northern Lights. That’s because, experts at NASA claim that this year, due to some special combination of circumstances; the Northern Lights will be at their brightest best in comparison to the last 50 years. There are a few locations that you can choose to witness the stunning Northern Lights. Off the different locations that are popular for viewing the Northern Lights, it is best to see the Northern Lights in Lapland as this Finnish town is considered to be a hotspot for viewing the beautiful Northern Lights. Being set in the far north zone to be primarily in the ‘Northern Lights Zone’ and because of its low level of atmospheric pollution, Lapland is definitely the most preferred destination to view the Northern Lights. These lights that can be witnessed quite regularly in the skies above the town offer an enthralling view to the tourists. While you wait for the viewing the Lights in Lapland, you can enjoy several other activities like reindeer sledging, snowshoeing, husky rides, etc. Many tourists wait for a long time to witness the natural wonder – the Northern Lights in order to have an experience of a lifetime. The best time to visit Lapland to witness the Northern Lights is between November and March. The great wide ocean is where some of us dream of having their holiday on, cruising on a luxury cruiser that is like a hotel on the sea, to various parts of the world. However not all of us can afford to cruise half way around the world, but it’s not necessary to do that with so many places close by that you are able to explore right from your doorstep. The Pacific Sea is dotted with many islands that you can cruise to and from Sydney, Australia. These types of cruises will not break your bank and you will be able to explore the islands that are close to Australia that you have not actually known about or thought of. These islands are lesser known for a holiday, but they are fantastic to see and discover. Cruises that set out into the Pacific Ocean for these islands will usually depart from Sydney, Australia. You will find a great range of trips to choose from. They will differ in the nights that you stay, the length of the trip, the islands and places that you will see and the type of boat. If you are not sure where to start looking for your Pacific Ocean cruise then you can have a look at your favorite travel cruise site. I am sure that they offer a variety of cruises from various liners so that you get the best deal. Trips will vary from 9 nights to 19 nights. The islands that you could potentially visit in the Pacific include New Zealand, Hawaii, Mare, Isle of Pines, Noumea and others. You may also have the chance to stay on some of these islands depending on the package that you choose, so you are able to soak up the culture and the land in its entirety. The liners that are used for the Pacific Ocean holidays are beautiful. They are large, but they are fully equipped with everything that you would expect from entertaining areas to restaurants and more. Cruise holidays do not mean that you have to travel far at all, but you can find plenty of Pacific Rim Holidays that are close to you and are also affordable so that you can also experience the feeling of being on the vast ocean. 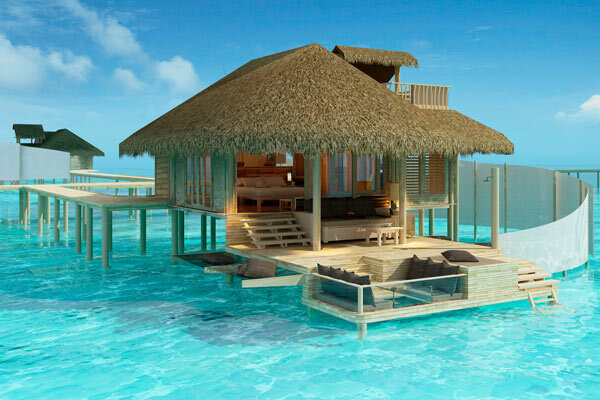 Honeymoon to the Maldives could be the perfect beginning of your newly married life. Maldives is one of those destinations that is quite popular amongst honeymoon couples. It is a group of beautiful islands that offers a variety of honeymoon experience ranging from intimate private luxury resorts to exciting water sport activities for newly wed couples. You can spend your days and night either staying on a single island or hop around from one island to another. Maldives Honeymoons offers an exotic and romantic world of more than thousand beautiful secluded islands so that you can have all the intimacy with your beloved. Crystal clear blue water, unending white sand exotic beaches, breathtaking coral reefs, a journey to the dense mangroves and palm forests offers only a small glimpse of what all can be experienced during your honeymoon to the Maldives. It is one of the hottest honeymoon destinations for newly married couples coming from different parts of the world. Honeymoon is considered to be the sweetest time of our married life, therefore we try to make it as memorable as possible. Honeymoon to the Maldives is special because the sun shines around the year on the archipelago of the Maldives and you don’t need to worry about adverse weather conditions. It is a honeymoon destination that can be taken during any time of the year. It also carries a glimpse of Dutch as well as Portuguese culture in its air.